Are You Afraid Of Malware Ads? Also the .pw domain should be blocked – (Palau Pacific Island). The malware tries to insert itself into your computer while you are watching an ad. This is what should happen – where your anti-virus /anti-malware software protects you from these unseen attacks. Guess what is in the malware? Did You Guess Ransomware ? Cryptowall? Ransomware is very lucative for the criminals -My estimation in the image above is conservative. 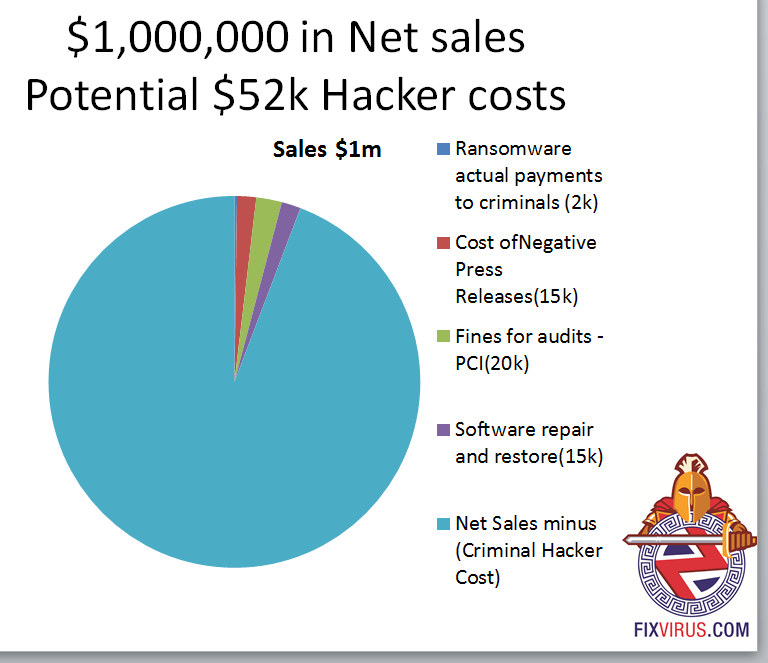 In the image there is a business of $1mil in sales that has a potential ransomware attacker, the attacker makes $2k while the business has to pay $50k for various costs… And this is “conservative”. Imagine there is a business that you could enter in a country that has a median income of 4200 UAH (Ukrainian Hryvnia) = $180 that pays $2k for a successful attack. A single successful attack. You could hire 5 guys and still make $1000 per month to make this ‘business’ profitable. So now you see the problemin that a decent income in Ukraine is about $180 /month? As a criminal online hacker you can make 100x that amount . Now you know _why_ people are doing it. Ransomware is not going away. 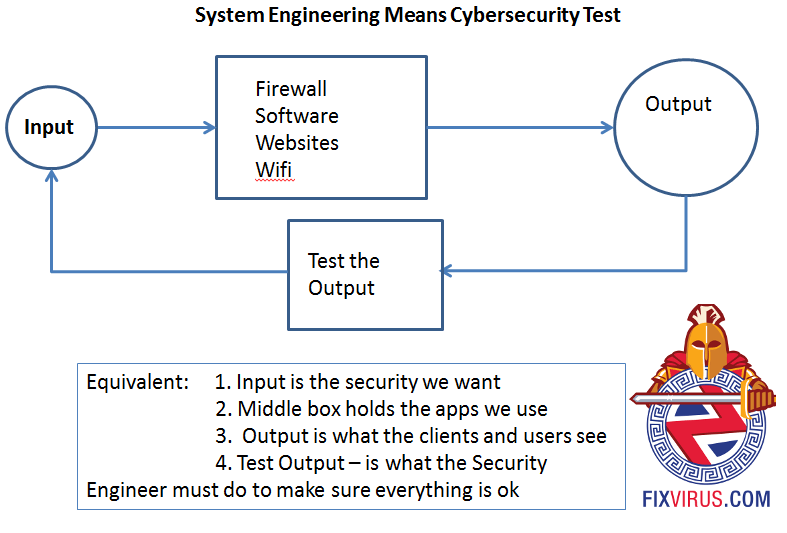 the only way to protect yourself is to test test test. It is not enough to assume your IT department is handling this issue. You must contact the experts that live and breathe this stuff day in and day out. Contact Us to help you test test test. You can’t give in to ransomware – as it will encrypt your files and even if you pay them there is no guarantee they will unencrypt the files. 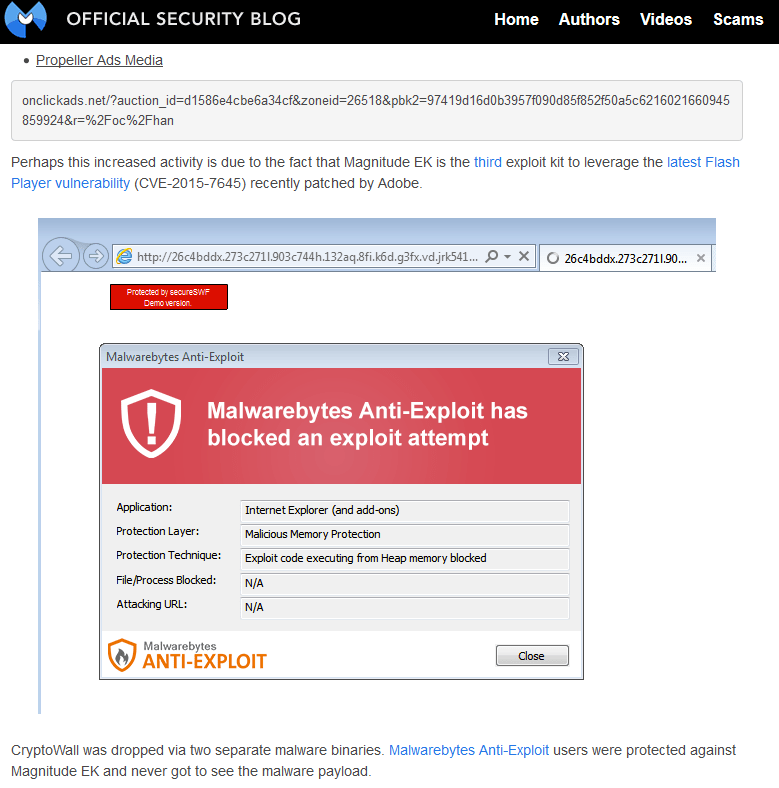 this is the image from Cryptowall2.0 (from last year) the latest is 3.0 or higher – much more sophisticated today. A client did not heed the advice and got bitten. Lost 90% of data – I was able to recover only a few files with insufficient backups. YES you should Fear Ransomware – Malware.